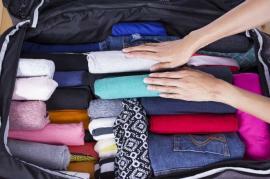 While packing may be something a lot of us dread doing, it is also a skill, which is acquired with time and along the course of many trips, be it a short tropical vacation or a year-long exchange program. For some people packing never stops being stressful, but it usually becomes less so with practice. There are certain tricks and lessons that can only be learned with practice. Sometimes, though, life hands you a surprise and you have to learn much more quickly than you’ve expected. If you’re going on your first long trip, you might be worried and feel inadequately prepared. Here is how to avoid last minute stress, pack everything you need and make sure that you avoid nasty surprises and come home with only fun and exciting travel stories to tell. 1. A good first step is to do your research on the place you’re visiting. While you could buy plenty of things at your destination, especially if you plan on staying a while, it’s always good to be prepared at least for your first week. This means look into the climate of the area and the current weather forecast. If you want to blend in, you may also want to research the culture, particularly the kind of clothes people wear and some surprising items outside of clothing, which they use on a daily basis. 2. Another important step is to be prepared for emergencies. Think of any possible scenario – medical or otherwise and try to pack accordingly. Having an emergency away from home can be a scary experience, but if you’re adequately prepared, you wouldn’t have anything to worry about. 3. Think about what you’ll have upon arrival. Are you staying with a family, in a hotel, or maybe in dorms? Will you be provided with bedding? What about sanitary products? Unless you’re absolutely certain of the opposite, assume that you will NOT be able to go shopping on your first day and you will have to rely on whatever it is that you’ve been provided with. Try to prioritize as much as possible. 5. Once you’ve figured out what to bring, think about what you’re going to bring it in. Things to keep in mind are obviously your own comfort, you don’t want to be lugging around a huge, poorly balanced suitcase, unless absolutely necessary. Similarly, if you’re flying, find out the company’s regulations for baggage and make sure you haven’t exceeded their limitations. If this is the case, consider your list of priorities and get rid of everything that wouldn’t be considered a necessity. 6. When packing, always try to minimize the space your belongings take up. This will make carrying your bags and finding things in your luggage much easier. A good example would be using vacuum-seal bags for clothing, so that all the air can be taken out and your clothes can take up a minimum amount of space. 7. Always carry most of your funds on your person. That said, it may be a good idea to store some cash in your luggage – this is best kept in an unlikely place, such as a pack of medicines or a bundle of socks. Don’t go overboard as this money is purely for emergencies. 8. Always lock your suitcase securely, in case it gets lost. Similarly, do not forget to label every piece of luggage with your name and contact details (at your destination), so that it can be easily returned to you, should you lose it during baggage reclaim.